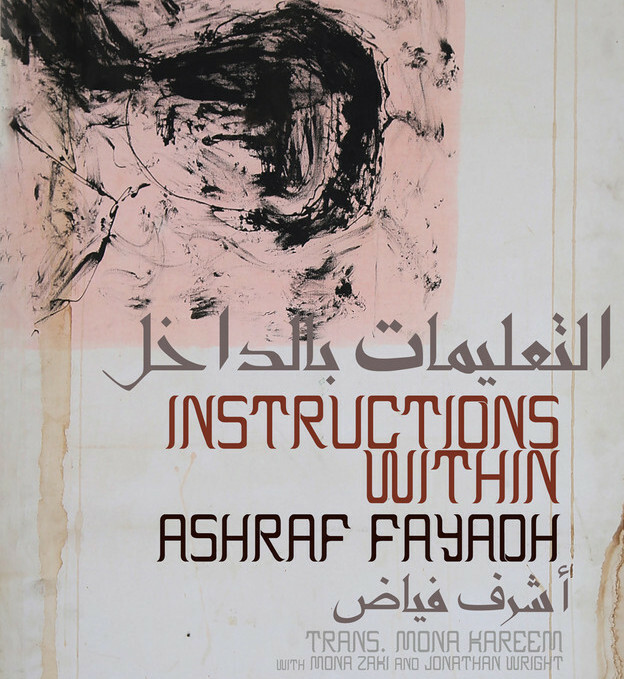 Very pleased to be back in New York, despite all — and find my copy of Ashraf Fayadh’s Instructions Within, translated by Mona Kareem (with Mona Zaki and Jonathan Wright) and published by the operating system. And what a rare occasion it is, design-wise: the parti pris of choosing to print this bilingual (Arab-English) edition the way Arabic is read and printed, i.e., from right to left. Also happy to have been able to lend a hand to Ammiel Alcalay and Lynne Desilva-Johnson in the creation of this important book — a book which comes as a timely reminder that if Ashraf Fayadh’s death sentence on charges of apostasy and promoting atheism was reduced, he is still serving eight years and stands condemned to get eight hundred lashes.